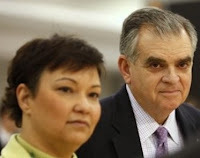 Environmental Protection Agency Administrator Lisa Jackson and U.S. Department of Transportation Secretary Ray LaHood testified before the House Transportation and Infrastructure Committee on April 29 on implementation of the American Recovery and Reinvestment Act (ARRA). Administrator Jackson and Secretary LaHood discussed how the EPA and DOT are working to get tens of billions of dollars in recovery act funding out the door to create jobs, protect human health and the environment, and boost local economies. When Administrator Jackson was asked about the Green Project Reserve (GPR), her answer made AAEA staff immediately think about how that component of the ARRA could be combined with our Environmental Justice Allowance Reserve (EJAR). AAEA's EJAR addresses the racial 'Hot Spots' issue in cap-and-trade programs. These allowances would come from a special reserve, similar to the current Acid Rain Program Renewable Energy and Conservation Reserve, when the initial allowance allocation is made under a cap-and-trade program. They would be awarded to utilities, automakers and others that undertake environmental justice practices and programs designed to mitigate or prevent price shocks, increase the installation of pollution control equipment, promote community education and enhance health-related activities. Utilities and automakers could choose to work with organizations and businesses that conduct environmental justice activities related to climate change mitigation and reductions in emissions of sulfur dioxide, nitrogen oxides and mercury. 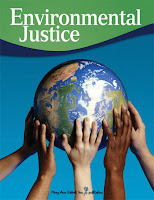 The Environmental Justice Conference, Inc. is hosting the 2009 State of Environmental Justice in America Conference, a 3-day assembly of leaders from federal agencies, grassroots organizations and individuals from various sectors and communities. Representatives and participants will engage in discussions on environmental justice legislation and regulation, community planning and development, energy policy and more. U.S. Secretary of Labor Hilda Solis, right, is the keynote speaker for the opening day of the conference. Featured interviews include Jeffery M. Allison, Manager of US Department of Energy, Savannah River Operations Office and John C. Cruden, Deputy Assistant Attorney General, Environmental and Natural Resource Division, US Department of Justice. The conference is being co-sponsored by the U. S. Department of Energy, U.S. Department of Agriculture, Environmental Protection Agency, Howard University School of Law and the National Small Town Alliance. The conference is being held at the Doubletree Hotel in Crystal City, 3030 Army Navy Drive, Arlington, Virginia from Wednesday, May 27, 2009 - Friday, May 29, 2009. 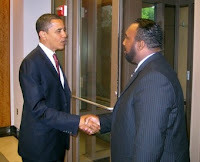 President Obama nominated Mathy V. Stanislaus, 46, to be EPA's Assistant Administrator for Solid Waste and Emergency Response. Most recently he is the co-founder of the New Partners for Community Revitalization. He also served at Huber Lawrence & Abell as senior environmental associate and at the Environmental Protection Agency as assistant regional counsel for New York Region II Offices. His nomination was announced on March 31, 2009 and was he was formally nominated on April 20, 2009. 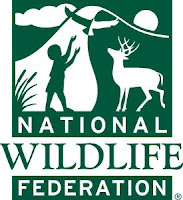 Earlier this year the National Wildlife Federation was awarded United States host status for the International Eco-School Program. Started by the UNEP in the mid 1990s and under the auspices of the Foundation for Environmental Education it now has 43 participating nations and 30,000 schools enrolled. The U.S. and China joined this year. As coordinator for Eco-Schools USA, NWF plans a September 2009 launch and will be working with environmental education, green school, and science and civics education leaders across America to blend effectively with national, state and local green school efforts. c) greenthe curricula and student experience. 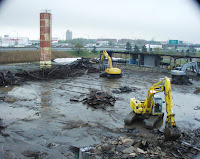 The Comprehensive Environmental Response Compensation and Liability Act (CERLA) established the Superfund program, which was enacted by Congress on December 11, 1980. Superfund was funded by a tax on polluting industries until taxing authority ran out in 1995 and was not renewed. It was a 'polluter pays' program. The Superfund tax once collected hundreds of millions of dollars a year from chemical and oil companies. The Superfund program has been chronically underfinanced since the tax that supported it expired. Now taxpayers are picking up the tab via funding from the stimulus package, but President Obama intends to reestablish the polluter tax in his 2011 Budget request. E.P.A. spends millions of dollars a year investigating Superfund polluters and forcing them to pay for their misdeeds. Energy: Hostility to African American Ownership? The answer to the question is YES. There is aggressive hostility to African American ownership of energy infrastruture, products and services. At the same time that trillions of dollars in 'assistance' are going out to Wall Street, Detroit and the energy sector, any mention of 'assistance' for African American ownership is greeted with disdain. We are always baffled by the hostility by even the suggestion when others see it as normal to seek trillions in 'assistance.' AAEA is not speculating here. We have pressed for such ownership in every energy sector. We have been severely rebuffed. In virtually every energy sector we have approached about equity partnerships, and this includes 'green' efficiency and renewables jobs and companies, the response is bamboozlement at how we could even think of asking for ownership stakes in these industries. Yet these same energy companies across all sectors think nothing of asking for trillions in taxpayer subsidies to own and run their businesses. President Obama is only 100 days into his job, but the Congressional Black Caucus (CBC) has been around for decades and recently allowed trillions to pass through Congress without ANY requirements for African American ownership. Now some might bristle at the thought of 'giving' or loaning Blacks anything, but America just gave commercial and industrial America trillions of dollars. Why is it okay for everyone EXCEPT BLACKS to get 'assistance' to participate in energy imports and production? Blacks are not in the $700 billion in annual oil imports that T. Boone Pickens is so fond of noting in his multimillion dollar advertising campaigns. The one time $5 billion for weatherization assistance pales in comparison. Blacks do not own the coal mines that provide the coal that supplies fifty percent of our electricity production. And even though the 'green jobs' craze is in full throttle, how many black-owned wind and solar companies are there out there actually manufacturing wind turbines and photovoltaics? We know. It is 'getting ready to happen.' Sell it to somebody else. We have been working for and waiting for efficiency and renewables to happen for 30 years. Wind and solar represent less than 1% of the electricity market, yet some are forcefully pushing Blacks into this area. Yes we want equity in this area, but we want ownership in the other 99% of the electricity marketplace too. Where is the Black ownership of energy infrastructure, products and services in America when trillions of dollars being doled out to 'assist' energy companies? Where is the Congressional Black Caucus? Frankly, the CBC is missing in action and they better get their act together on this or they should just disband and concentrate on their individual districts. And please don't even think about approaching the traditional environmental movement. They are still trying to figure out how to hire and retain blacks even as industry has done so for decades. Yet they know that their secret pride in their 'elitist' status has to yield to the reality of a black American president. Can you tell we are angry? You should be too. Sometimes someone finds us and we are just delighted to meet them. This was the case with Christina Royster-Hemby, left & below, Director of Marketing and Communications at the Irvine Nature Center, which is located in Owings Mills, Maryland. Our president and founding board member Dr. Eric Watford, M.D., visited Mrs. Royster-Hemby the day after Earth Day and it was quite a thrill. Center president Norris McDonald picked up a pair of binoculars and the book, "Identifying Trees," by Michael D. Williams at the Irvine Nature Center store. The new center opened in September of last year and is a great facility. The Center had almost 5,000 people at its opening ceremony. The facility has great exhibits inside and outside with snakes, turtles, lizards, barred owls and more. The Irvine Nature Center is a non-profit environmental education organization whose mission is to inspire appreciation and respect for the natural world, to increase awareness of environmental issues, and to encourage individuals to sustain earth's ecosystem. Founded in 1975, the Irvine Nature Center has earned a reputation for providing quality environmental education for all ages. Irvine provides programs for Baltimore-area schools and the public. They also offer a number of special events each year. The Center has a museum, nature store and a walking trail. Visitors are welcome Monday-Friday between 9:00 a.m. and 5:00 p.m., and Saturday-Sunday between 9:00 a.m. and 6:00 p.m. Blacks in South African and Blacks in the United States do not own oil or any of its infrastructure. Nigerian born Houston offshore oil developer Kase Lowell is about the lone exception. Experts estimate that Black-owned oil companies collectively hold under 4% of the South African oil market. Although blacks are involved in some retail sales of fuel oil in residential markets, they are completely missing in the $700 billion in annual imports of crude oil. South Africa's white-dominated oil industry vigorously opposed the formation and participation of more black oil companies when the country was addressing deregulation at the turn of the century. At the retail level in South Africa, Black oil companies increased their share of the SA petrol market from about 4% to 8% of the SA diesel market. The National Black Fuel Retailers Association (NABFRA) says entry is still difficult for black companies. NABFRA feels that before the industry moves into free-market thinking through deregulation, there needs to be an established black presence in the marketplace. Black empowerment groups asked at the time for a brake to be put on deregulation until they have at least 20% to 25% market share. SA's black oil companies are Afric Oil, Exel, Tepco and Zenex. The Waxman Markey American Clean Energy and Security Act of 2009 (ACES) should include an environmental justice component to protect vulnerable communities. AAEA has crafted a Global Warming Environmental Justice Allowance Reserve (EJAR) that would include protections against dispropriate impacts on low-income and minority communities. Chairmans Waxman and Markey should include an amendment to their legislation that includes the EJAR. Denise Wilson is a member of President Barack Obama's legislative affairs team, which collaborates with congressional leaders from both parties to advance an agenda that will turn this economy around, put Americans back to work, and safeguard our national security. The legislative affairs team helps to carry that mission forward—and ensure that the voices of congressional leaders and their constituents are being heard in the White House. Denise Wilson served for over 10 years as a Professional Staff Member for the House Oversight and Government Reform Committee under the leadership of former Chairman and Ranking Member Henry A. Waxman (D-CA). 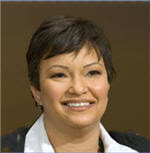 Wilson’s areas of expertise included postal reform and federal workforce issues. 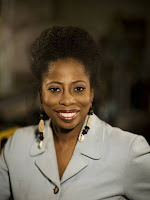 She has also worked in various capacities, including energy and environmental matters for former Representatives Cardiss Collins (D-IL) on the House Government Operations Committee; William “Bill” Clay Sr. (D-MO) on the House Post Office and Civil Service Committee; Herman Badillo (D-NY); and James Symington (D-MO). Wilson also worked as manager of Government Relations for Motorola, Inc., in Washington. 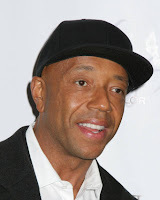 The headline at Hip Hop mogul Russell Simmon's Global Grind Web site says, "Win Up To $20,000 To Green Your Campus." Simmons appeared on MSNBC's "Morning Joe" program to promote his 'America's Greenest Campus' (AGC) program, which is the first nationwide contest among colleges to reduce the carbon footprints of their students, faculty, alumni and staff. Colleges have until October 5 to get as many people affiliated with their school to reduce their carbon footprints as much as they can! Robert Kennedy, Jr. Calls President "Indentured Servant?" No he diN'T. We sincerely hope this is a joke, lie or mistaken quote. But there are published reports on this day before Earth Day that Robert Kennedy, Jr. is calling President Obama an 'indentured servant' to the coal industry for supporting clean coal. Now although we do not believe there is any such thing as clean coal, we do support President Obama's position on utilizing coal as cleanly as is reasonably possible. The president's Secretary of Energy clearly described this policy last week. 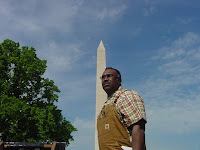 The National Black Farmers Association (NBFA) says Barack Obama led the charge last year to pass a bill allowing black farmers to seek new discrimination claims against the Agriculture Department when he was a senator. NBFA also says that as president, his administration so far is acting like it wants the potentially budget-busting lawsuits to go away. John Boyd, right, head of the National Black Farmers Association, which has organized the lawsuits cannot figure out why the president wouldn't want to implement a bill that he fought for as a U.S. senator. NBFA notes that Congress has bailed out wall street auto makers and America's top banks. The potential budget implications were huge: It could easily cost $2 billion or $3 billion given an estimated 65,000 pending claims. With pressure to hold down costs, lawmakers set an artificially low $100 million budget. They called it a first step and said more money could be approved later. But with 25,000 new claims and counting, the Obama administration is now arguing that the $100 million budget should be considered a cap to be split among the successful cases. The position — spelled out in a legal motion filed in February and reiterated in recent settlement talks — would leave payments as low as $2,000 or $3,000 per farmer. Boyd, with Senator Obama at left, noted that Obama's legislation specifically called for the new claimants to be eligible for the same awards as the initial lawsuit, including expedited payments of $50,000 plus $12,500 in tax breaks that the vast majority of the earlier farmers received. NBFA is planning a rally on April 28Th at 10 am at the U.S Department of Agriculture, 1400 Independence Avenue between 14th and 12th street NW on the National Mall. On the 29th of April NBFA will have a one day conference highlighting an update on the Black Farmers Lawsuit. Green the Block is the Hip Hop Caucus' campaign to address urban poverty and climate change, at the same time. Through grassroots activities and celebrity involvement we are working to create a strong green economy, locally and globally. Climate change and poverty in the US and abroad acutely affect our communities and are causing environmental violence that is prematurely ending lives and opportunities for a better tomorrow. More than just planting a tree in the hood, Green the Block is about educating diverse communities on issues surrounding climate change and its relevance to their lives, engaging communities in the climate movement through policy and service, while introducing them to the Green Economy. We can end poverty and save our climate at the same time; that is, if we have legislation that connects the dots between what's good for our planet and what's good for low-income urban communities. Our MPACT Teams will advocate for legislation that pushes for a Green Economy and works to end poverty simultaneously. We seek mandates that ensure communities stricken by cycles of poverty are in positions to benefit from green collar job opportunities and have available the necessary job training and job placement programs that will ensure sustainability of our environment while ending poverty. We are currently organizing around the Waxman-Markey American Clean Energy and Security Act (ACES). With a green economy there will be an influx of “green collar jobs” and our communities must be aware of these job opportunities and in positions to have the training and skill sets to take advantage of these opportunities. Green the Block will place emphasis on “spreading the word” about green collar jobs and connecting our communities to job training and job placement programs. We will conduct a national “Green the Block Bus Tour,” townhall meetings, job fairs, and information sessions to engage our communities in the green movement. Through targeted marketing campaigns and community service projects with a Hip Hop swagger, Green the Block promotes energy efficiency and community conservation. Through our Opportunity Corps, we are engaging members of the community in conservation projects around their neighborhoods that build community and clean the environment. The Hip Hop Caucus is also working on strategies that will help households conserve energy and keep money in family’s pockets. Households + energy efficiency + education = Reduced green house gases, reduced energy bills, and healthier environment! 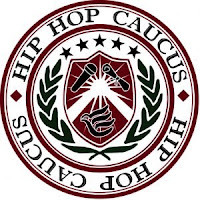 The Hip Hop Caucus Institute is a non-profit, non-partisan 501 (c) 3 which works to organize and engage the Hip Hop Generation, those born after 1964. Utilizing issue campaigns, events, voter registration and education, we work to ensure that the voices of the Hip Hop Generation are heard in the policymaking process. The Hip Hop Caucus Institute was founded on September 11, 2004. Over a four year period, we have developed a 700,000 member national database, and created field teams in 48 cities across 30 states. A cursory overview of our past work includes three award-winning national campaigns – on Katrina, ending the Wars in Iraq and Afghanistan, and Getting out the Vote – and work in diverse coalitions in the climate and social movements. The African American Environmentalist Association (AAEA), and its parent organization, the Center for Environment, Commerce & Energy (Center), are expanding our environmental outreach in the West. 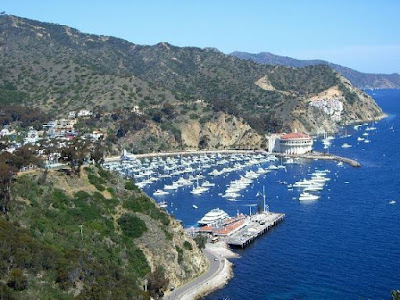 We have established a partnership with the Greater Union Baptist Church (GUBC) to operate an environmental tour program called “Compton To Catalina,” which will take students and other young people from Compton, California to Catalina Island. AAEA President Norris McDonald is pictured above with GUBC Associate Minister Sam Darling, who also serves as the church's Outreach Coordinator. The purpose of the program is to expose young people from Compton to the Pacific Ocean and an incredibly beautiful island. People take it for granted that the vast majority of this kids never get on the water and many people live their entire lives without directly experiencing the Pacific Ocean even though they live within five or ten miles of it. We believe that such early exposure to this environment could lead to a lifelong environmental stewardship ethic. Any support for the program is greatly appreciated. To inquire about the program, please feel free to email us. "...the United States has the most known coal reserves in the world and that more than half of domestic electricity is generated by coal. Even if the United States turns its back on coal, China and India will not, and so, given the state of affairs, I would prefer to say let's try to develop technologies that can get a large fraction of the carbon dioxide out of coal." Congressman Henry Waxman has represented California since 1975. In January, he became chair of the Committee on Energy and Commerce, which has oversight of various functions, including energy policy, consumer protection and interstate and foreign commerce. A longtime champion of environmental and public health protection, Waxman introduced the first bill in Congress (in '92) to stabilize the climate. Prior to his election to Congress, the Los Angeles native served three terms in the California State Assembly. 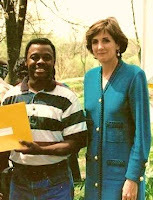 AAEA President Norris Mcdonald is pictured at right with then EPA Administrator Carol Browner in Kenilworth Park in Washington, D.C. in 1999. A decade later we sure could use her help in getting our programs included in the pending energy and climate change legislation. Maybe the energy czar could use our help too because there is rumbling in the land that the Obama administration is putting the breaks on climate change legislation because of the recession. Yet Copenhagen looms in December and midterm election campaigns will begin in earnest soon thereafter. AAEA supports cap and trade but we oppose auctioning the allowances. Fortunately, the auction was removed from the budget proposal and consensus seems to be settling around allocating free allowances to utilities. There also appears to be consensus that legislation is preferred to the EPA regulatory route. AAEA agrees with the Obama administration in the preference for legislation. House energy committee chairs Ed Markey and Henry Waxman can feel free to incorporate our suggestions into their American Clean Energy and Security Act of 2009 (ACES) [More]. Administrator Jackson is calling on all Americans to help “build a clean energy economy.” Like EPA, Earth Day is celebratingits 39th anniversary this year and, in an Earth Month video message, Administrator Lisa P. Jackson challenges all Americans to begin building the green economy that will define the next two decades. In the video, Administrator Jackson notes how far we have come in 39 years and challenges us, as individuals and as a community, to takesteps to protect the water we drink, the air we breathe and the land where we live, work and play. Public Justice has won a decision that blocks federal regulators from approving new mountaintop removal mining operations through a streamlined permitting process. On March 31, U.S. District Judge Joseph R. Goodwin issued an injunction that blocked the U.S. Army Corps of Engineers from authorizing new valley fills through its "nationwide permit" procedure. On behalf of the Ohio Valley Environmental Coalition, Coal River Mountain Watch, and the Natural Resources Defense Council, Public Justice challenged the Corps' conclusion that the nationwide permit would only have cumulatively minimal environmental impacts. The Corps claimed that, even though coal companies have used this permit to fill hundreds of miles of streams with mining waste, it could mitigate these stream losses to zero by creating new streams elsewhere. Mitigation is the centerpiece of the Corps' claim that the net effect of stream-filling is harmless, but the court found that this claim is an 'unsupported belief' and a 'mere promise' that has no factual or scientific basis. The court's decision was the second time it has invalidated this nationwide permit. The first decision in 2003 was overturned on appeal on a different issue and remanded for reconsideration. Because of that first ruling, the coal industry has been more frequently using individual permits than the streamlined procedure. Individual permits require much more detailed regulatory analysis. Several of those individual permits were successfully challenged in a different case, which was also overturned on appeal in February 2009. Because of that case, the Corps has over 200 backlogged individual permit applications that would fill over 200 miles of headwater streams. The Supreme Court ruled today that the U.S. Environmental Protection Agency can compare costs with benefits to determine the technology that must be used at structures that cool water at electricity power plants. By a 6-3 vote, the high court handed a victory to Entergy Corporation, other electric utilities and the general public. The justices overturned a ruling by the 2nd U.S. Circuit Court of Appeals in New York that previously ruled that the Clean Water Act does not permit the EPA to consider the cost-benefit relationship in deciding the best technology available to minimize adverse environmental impact. AAEA supports the U.S. Supreme Court decision. Blacks In Green (BIG), based in Chicago, Illinois, is a community education and trade association working in the new green economy to help link, leverage, and lead health and wealth benefits to communities of color, both here in the United States and abroad. BIG is a network of individuals, non-profits, businesses, agencies, and coalitions--a global green practices collective--committed to robust African diaspora participation in the age of social, economic and environmental accountability and responsiblity. While BIG's "green" initiatives span a plethora of sectors, their two key initiatives include the creation of BIG Villages and the Green Hubs in the 'Hood' Initiative. BIG Villages are naturally efficient incubators for applying the spectrum of green technologies while BIG Hubs are their natural epicenters for advocacy, training and partnerships for green collar jobs, careers and enterprise.